The course is intended for individuals wishing an in-depth introduction to the principles of time-resolved fluorescence microscopy and its applications to the Life Sciences. Attendees are usually professionals who are using or intend to use fluorescence microscopy in their research. Most attendees have some knowledge of fluorescence, typically in a specialized area. However, other individuals from totally different research areas and from industry get the opportunity to enter this exciting field in a very effective way and benefit especially from the experimental section. Practical sessions on various instruments will be offered. A detailed overview will be published at a later date. Participants will be divided into groups that rotate through the stations. This ensures that every participant will have the chance to familiarize himself with the broad range of techniques and methods of fluorescence (lifetime) microscopy. Registration opening dates and deadlines will be published at a later date. in conjuction with the time-resolved microscopy course, PicoQuant will host the “SymPhoTime Training Day” for users of the SymPhoTime and SymPhoTime 64 software. One day after the course, on February 22, 2019, PicoQuant will host the “SymPhoTime Training Day” for users of the SymPhoTime and SymPhoTime 64 software. For details visit the event website. We will announce more details at a later date. Please note: schedule and content of this event are subject to change without notice. The list with instructors will be announced at a later date. The time schedule of the course will be announced at a later date. The time schedule of the course is also available for download. Also see our SymPhoTime Training Day that takes place February 22, 2019 in Berlin. The fee structure as well as terms and conditions for payment will be released at a later date. Besides full course attendance, the fee includes all coffee breaks, a reception with free food and drinks, daily lunch, course materials and the use of instruments. Attendees will be responsible for their own travel, lodging and meals. Please note the terms and conditions. For payment you can choose between credit card (Visa, Master Card) and bank transfer. Possible bank charges have to be paid by the participant. Please note that we do not accept checks. After online registration, you will receive an email notification including a PDF file that includes information on the payment procedure. All payments have to be received within 14 days after date of registration. We will send an email confirming your participation once we have received your payment. If payment is overdue, your registration will not be processed and considered invalid. A receipt of payment will be included in our email confirmation of participation. For cancellations made until January 16, 2019, 75 % of the received registration fee will be reimbursed. In case of cancellations after January 16, 2019, 25 % of the registration fee will be reimbursed. It is possible to name and send a substitute participant. No visa letters will be issued until payment of the registration fee is received and confirmed. Schedule and content of this event is subject to change without notice. PicoQuant records photographs and video material of participants at the events. By registering for a PicoQuant event, you agree that we may include images of yourself (either as a full image or in parts) for promotional purposes (press releases, event website, etc.). If you do not want us to use pictures in which you appear, please inform us in written form. As in the previous years, PicoQuant will grant a fee waiver to a few participants from the university and academic sector of economically less privileged countries. Accommodation, travel and personal expenses still need to be paid by the participants themselves. The selection of sponsored people is completely the sole decision of PicoQuant and there is no right or guarantee to receive a fee waiver. Details on the fee waiver application process will be published at a later date. The deadline to apply for a fee waiver has passed. We can no longer accept any fee waiver applications. Deadline for a fee waiver application is November 13, 2018. Please note that only one person per research group can be considered for a fee waiver. Details on booking accomodations will be published at a later date. We have negotiated special rates for a limited number of rooms in three hotels. The number of rooms and the booking time are limited and we therefore advise to reserve your room as soon as possible. 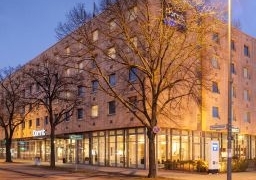 Please note that since the beginning of the year 2014, tourists staying overnight in Berlin are subject to paying an accommodation tax, the so-called City Tax. It amounts to five percent of the room rate (net price), excluding VAT and fees for amenities and services such as mini-bar, sauna, or spa area. The City Tax does only affect private overnight stays and NOT business travellers. The business purpose of a trip can be verified by a bill that is paid by or issued to the employer, or a letter from the company. 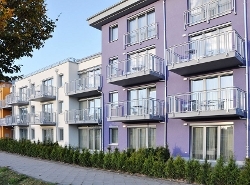 If the accommodation is booked by the employer in the first place, there is no further proof necessary. Also see the information at www.berlin.de. Please use the booking form to reserve a room. The rooms are bookable at this rate until January 15, 2019. We can not guarantee any reservations at these prices or any reservation at all after this date. The prices can slightly change. Guests can join the breakfast at the ManiMogo for a special price of 10 € per person and day. Wireless LAN is included in the room price. Please make your reservation by phone (+49-30-6789-2980) or by email (info@adaptberlin.de) indicating the booking code. The rooms are bookable at this rate until February 20, 2018 on a first come, first served basis. 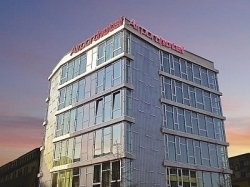 Please contact the Dorint Adlershof Berlin via phone, fax, or e-mail to book a room. If you do not wish to have breakfast included, please inform the hotel when making your reservation. The rooms are bookable at this rate until February 20, 2018 on a first come, first served basis. We cannot guarantee reservations at these prices or any reservations at all after this date. 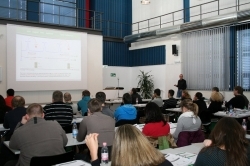 The European short course on "Time-Resolved Microscopy and Correlation Spectroscopy" is an annual event since 2009. For further details about each year's event, please select the year from the list below. Thank you for registering for the Time-Resolved Microscopy Course!